Dye Paintball Guns There are 11 products. The Dye Assault Matrix (DAM) is Dye's answer to the scenario paintball gun. Based on Dye's multi-year success with the Matrix line of paintball guns, the Dye DAM takes the best of the Dye's paintball gun technology and incorporates into the ultimate scenario paintball gun. 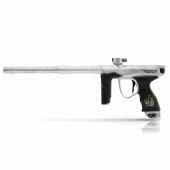 Dye paintball has stepped into the realm of mag fed paintball guns with their Dye Assault Matrix (DAM) paintball gun. With the fuse bolt technology seen in the DM series tournament paintball guns at its core, you can expect to get the highest performance from this mag fed paintball gun. Enjoy the ability to instantly switch from mag fed to a standard hopper with the proven rotating eye pipe. This gives you the best of both worlds for feeding, some players keep standard paintballs in the hopper and a load of first strikes in the mag. You can shoot first strikes fully automatic with the first strike capable 20 round capacity magazines to ensure you will be taking out your opponents from any range. 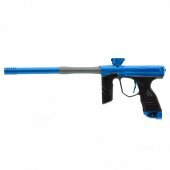 The Dye DAM paintball gun is completely modular with picatinny rails so you can modify it to your style of play. Another option available is the Dye DAM CQB paintball gun which is designed to give you peak performance in close quarter battles. The M3s is Performance Advanced. DYE’s M3s with MOSair is the pinnacle of performance and luxury. Based on the legendary DM series platform, the M3s has been meticulously deconstructed down to an elegant machine with uncompromised performance. The all new FL-21 Bolt sets a new standard for dependability and performance. Designed to operate across the widest range of extreme conditions, the FL-21 bolt provides unmatched performance, without sacrificing reliability. Unique to the M3s, dwell independence, and breech pressure insensitivity offer the user unequalled consistency, and the ability to shoot extremely fragile paint. The FL-21 Bolt also delivers superior air efficiency, and shot quality with its ultra-low operating pressure.